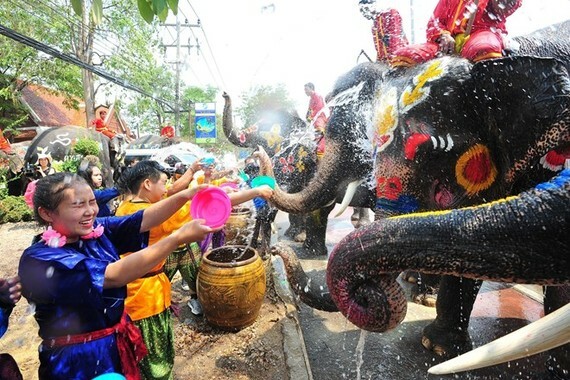 People in Thailand are joyfully celebrating Songkran – the traditional New Year festival of the country. According to traditional customs, in the morning of April 13 – the official date of Songkran, Thai people visit pagodas to offer incense to and bathe the Buddha so as to show their respect for the Buddha and pray for good luck in the New Year. After that, people take to the streets to welcome the New Year by dressing colourfully, dancing and splashing water on one another. The Thai believe that the wetter people are, the luckier they will be. Since 2018, the Thai Government has extended the Songkran festival to five days, from April 12 to 16, so that people can have more time to return to their hometowns. In Bangkok, a number of activities will take place on Wisutkasat Road under the Rama VIII Bridge and at Siam Square from April 13 to 15 like parades, shows of traditional costumes, ceremonies of bathing the Buddha by four ASEAN countries, arts performances, and water games. In this year’s Songkran message, Prime Minister Prayut Chan-o-cha called on Thai people to promote solidarity to maintain peace and steer the country towards democracy. 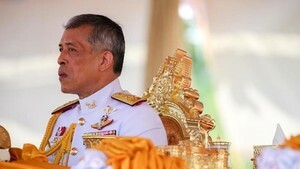 He said Thai people should work together to reduce conflict and learn to forgive and put their problems behind them during the Songkran festival. Thailand, with about 94 percent of its population being Buddhist followers, and some other Southeast Asian countries like Laos, Cambodia and Myanmar have the tradition of celebrating the Buddhist New Year. The name Songkran comes from a Sanskrit word meaning “passing” or “approaching”. The festival is also related to the agricultural cycle in Southeast Asia.